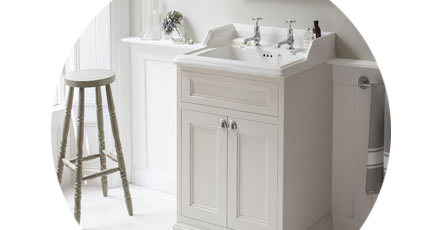 Give your home a stylish, traditional appearance with our Burlington bathroom furniture range. Features everything from mirrors and vanity units to tall units and cabinets. As one of the leading industry brands, our Burlington bathroom furniture is manufactured to the highest possible standards to ensure that each item not only looks great but is also built to last. Our Burlington furniture includes an assortment of stylish pieces which are designed to work in harmony with each other. Choose from various colours such as matt white, dark olive and sand for a matching look.